Meet Bubbles Couture, maker of the cutest diapers in the world. 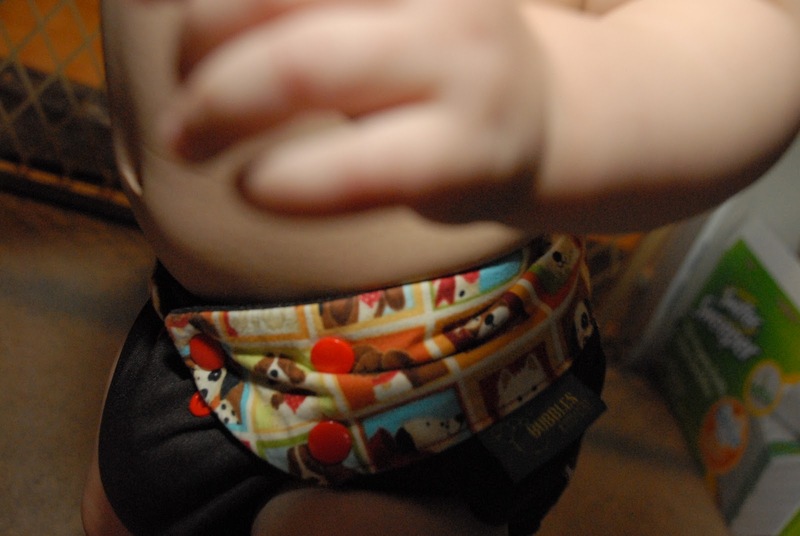 Handmade in Canada, these cloth diapers are both luxurious and adorable, and as far as I know, are the only diapers designed by an actual fashion designer. 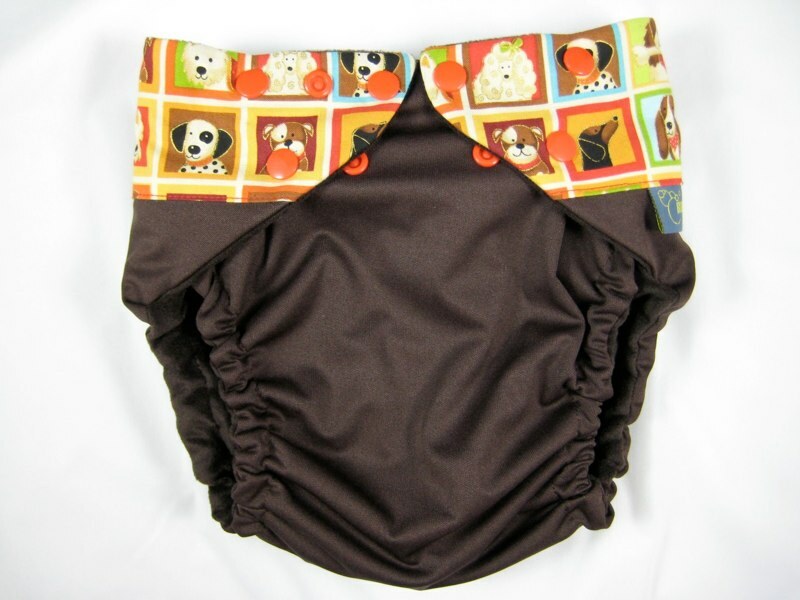 By using cotton embellishments on PUL, your child’s bum is taken to a whole new level while also being comfortable thanks to the VERY soft plush or suedecloth inner lining.We were sent the above diaper, a style named “Woof!” along with a matching bamboo insert. What we think: You already know that I think it’s an exceedingly adorable diaper, and also super-duper comfy on my little one’s bottom because of the soft lining. The elastic doesn’t leave marks unless it’s truly too tight, and I never had a problem with the snaps coming undone. The insert is the thinnest I think I’ve ever seen and so is easy to stuff into the pocket opening and doesn’t bulk up the diaper. Even when I double the inserts, they stay snugly in the pocket and I’ve had zero wicking problems! Overall, this diaper wins out because it’s so fashionable and soft. Cons to this diaper include that the leg adjustment system is tricky. You adjust the legs by reaching into the elastic casing that’s left open and pulling on the elastic. Along the elastic, there are snaps put through so that you can pull a snap through the opening and it can’t slide back in unless you push it into the casing. The good thing to this is that it really isn’t going to un-size itself once you set the elastic where you want it. The bad news is that it’s hard to pull through and I’m worried that I’ll stretch out the elastic in the process. When adjusting the waist snaps, it can also look a little funny since it wont always look symmetrical to the other snap placements. I think this is just due to the triangular design. I also found that I really needed to add a microfiber doubler to use with the bamboo insert for my toddler daughter. 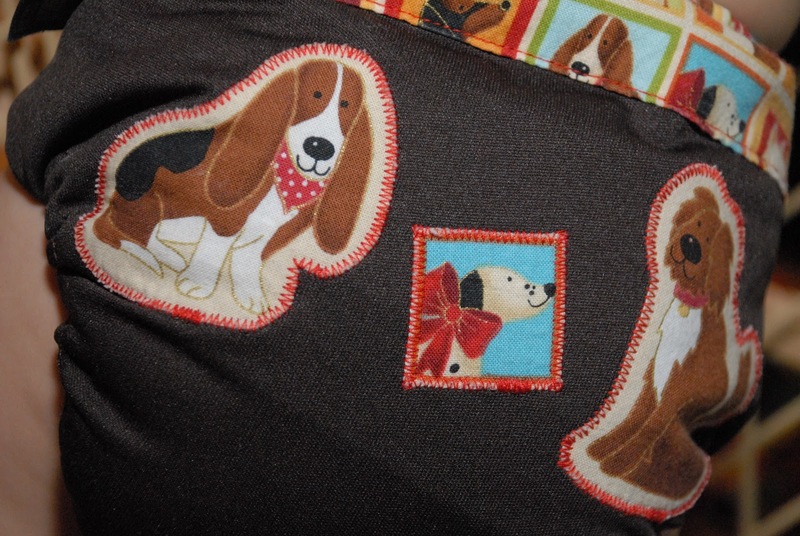 Otherwise, the appliqued decorations on the diaper would start to soak through. Buy It! Bubbles Couture just released a whole new bunch of diapers in their line up! Check them out on their website at http://bubblescouture.ca. Diapers retail for about $45.00 (USD), so they are a bit pricey, but really are a special treat for your fluff stash! Win It! Bubbles Couture is giving away a diaper, insert, and diaper rash balm to one of my readers! *You MUST be publicly following this blog in order to win. Just click the “Follow (with Google Friend Connect)” button in the far right hand column near the top of this page. Problems? Send me an email and I’ll help you out! lifemoresimply@yahoo.com. * Contest ends 12/2/10 at noon, EST. To win, leave me a comment below telling me what print diaper you want–be careful, because what you choose is what you’ll get if you win! Be sure to include your email address in EVERY entry and leave a separate comment for each entry as well. 6) After you’ve “liked”/”friended” Life More Simply on Facebook, put this as your status: “Bubbles Couture cloth diapers are the cutest! I just entered to win one at http://tinyurl.com/2adshlq from @Life More Simply” (my name will come up in BLUE if you did it right). 1 entry/day.